This entry was posted on October 20, 2012 by kdawikstrom. 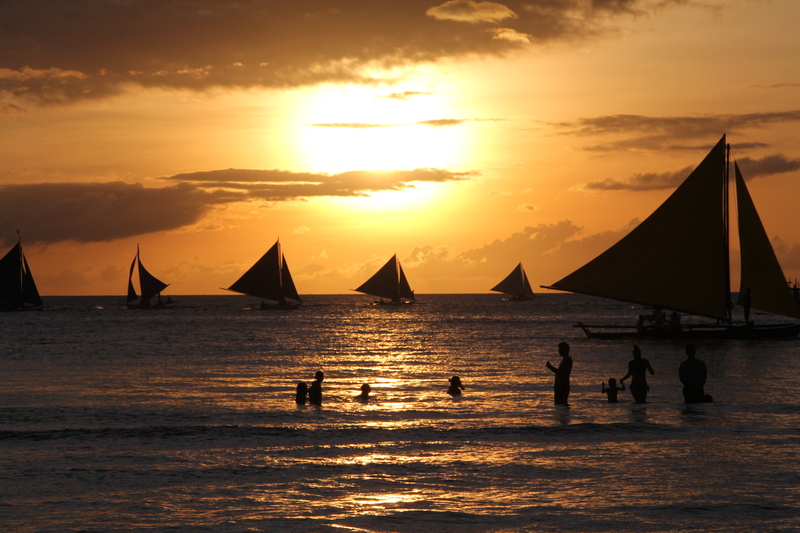 It was filed under Philippines, Travel, Weekly Photo Challenge and was tagged with Boracay, Philippines, Photo, Photography, postaday, Silhouette, Sunset, Travel, weekly photo challenge, WPC. Wow…. This photo is amazing : great lightnig, perfect capture ! That’s an awesome shot for the current photo challenge. Love the sunset! Thanks a lot, appreciate your feedback. Loved yours as well. Been here twice! Pretty much my fave place on earth so far. Great shot! Agreed! Have to get there again! Very enigmatic photo, well done, love it. Posted one myself and just after I clicked post, I thought ‘dam, it’s a shadow not a silhouette’, oh well. anyway keep the good photo’s coming! Aah, yours was a good photo as well. Also liked to read about that Wychcraft beer! Not sure if available in Norway though. Brilliant shot – maybe the best in the whole challenge! Beautiful photo.. the sun and sails are so calming – wish I was there! Thanks, it was an awesome evening. This is beautiful and romantic. thank you, I will do my best .. These colours are incredible, and the shapes of the boats and the people… It truly looks like paradise! It felt like paradise that evening. Surely. Thank you very much, the object itself is pretty easy..